AUGUST 28, 2014 —Dominica is set to be the first nation to adopt Bitcoin following a successful collaboration between island officials, Coinapult, Aspen Assurance, Bitcoin Beauties and the College Cryptocurrency Network, who have partnered to deliver the project, officially titled The Bit Drop. The Bit Drop project will to send Bitcoin to every resident on Dominica, a Caribbean commonwealth island, via SMS texting. With a population of over 70,000, this project will create the world’s largest and highest density Bitcoin community. The Bit Drop is scheduled to take place on 14th March 2015 at 09:26 to coincide with Pi Day. To mark this unprecedented event The Bit Drop will be throwing an island-wide party with celebrities, musicians and supporters of Bitcoin, fire dancers, sponsored tropical island spirits, free giveaways, and bitcoin education booths during the event. This will be the first time a government has embraced the potential of Bitcoin for the population of a whole nation. Coinapult is a bitcoin wallet, and merchant services provider. College Cryptocurrency Network’s MIT chapter is responsible for the distribution of bitcoin to every undergraduate later this year. 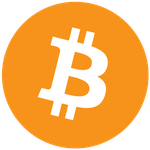 Bitcoin Beauties is a global organization of women who evangelize and use Bitcoin to monetize their passions.